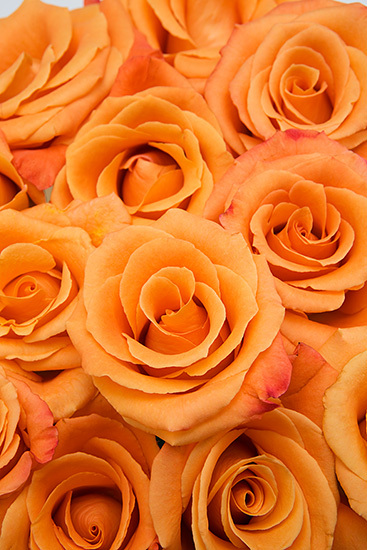 Indeed an aptly named rose, the Orange Unique variety impresses with an uncommon, vibrant orange hue. This makes them uniquely suited for floral décor in every season, adding an irresistible touch of lively color wherever they are placed. Your roses are picked at just the right moment, ensuring you roses that are the most exquisite and longest lasting you’ll find anywhere.